If there is one thing that can tilt the market in the favour of a smartphone, it’s the imaging system. 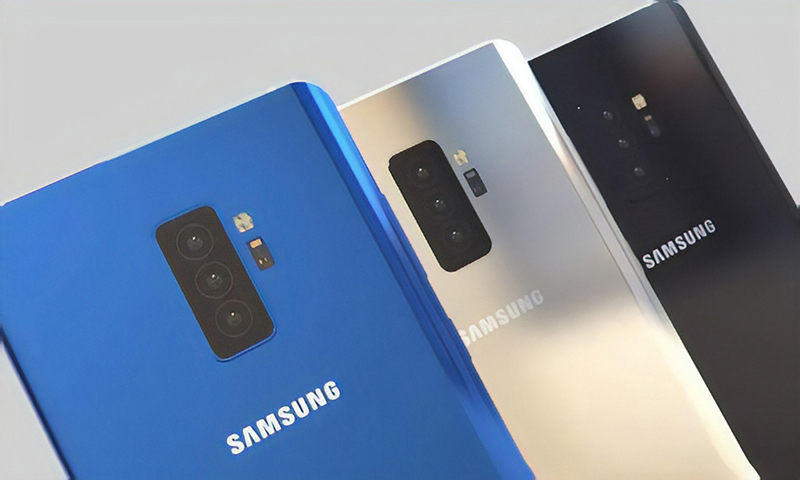 Samsung had recently hinted at a smartphone with a quad-cam setup, and if latest news reports are to go by, the likes of the camera system that the company is planning to introduce have not been seen in the market yet. According to reports originating from South Korea, Samsung is tooling up to mass produce its first smartphone with four cameras at the back. The company will use cameras from its sister company Samsung Electro-Mechanics and modules manufactured by another Korean imaging specialist MCNEX, according to reports. The quadruple-camera smartphone, which will be launched under the Galaxy brand, will feature a setup that will enable all four sensors to work at the same time. With the exception of a fourth sensor, the setup is expected to be similar to that of the recently announced Galaxy A7, which sports three cameras at the back. Unlike most triple camera smartphones on the market which never really use more than two sensors simultaneously, Samsung’s new phone will employ all four of these sensors at once, even though some shots might require fewer. The phone in question will reportedly be unveiled on October 11. Since the launch event will take place in Malaysia, the device might not be launched internationally. Samsung is apparently eyeing the developing markets with its latest offering, hoping to compete with competitors like OPPO and Xiaomi which have eaten into the Korean giant’s market share with their attractively priced offerings. Samsung had recently pledged to introduce innovative new features with its mid-range lineup instead of high-end devices and so far, it has kept its word. Considering the fact that Chinese smartphone makers are grabbing more market share with their flagship killers, it makes sense for Samsung to replicate the strategy by packing in high-end features in its mid-range offerings. Do you think adding more sensors at the back will help Samsung obtain a greater market share in the coming months? Tell us your thoughts down in the comments.